A descendant of Indian Parents, Sonu was born and studied largely in England, with some periods of his education in Nigeria and Switzerland. He is an alumnus of Eton College and a graduate of Oxford University, where he earned an MA in English Literature. During his time at Oxford, Sonu met his Swedish-born wife, Eva. They fell in love with the Maldives and leased an island there in 1990. After considerable effort and some good luck – aided of course by his university degree, their first resort, Soneva Fushi opened in 1995. As the pioneer luxury and environmentally friendly resort in the country, Soneva Fushi redefined tourism in the Maldives and soon became known as the premier beach destination. 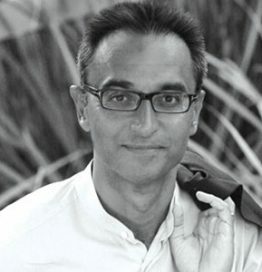 Whilst the evolution of Soneva keeps Sonu quite busy, he enjoys reading, art, architecture, wine, travelling, wellness and Soneva Living in general.